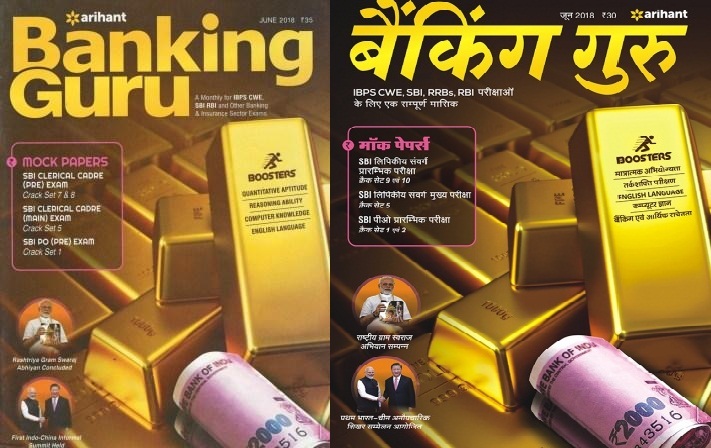 Hello Friends, Today we are sharing with you 'Banking Guru Magazine June 2018' in Hindi and English. It has been prepared and published by Magazine 'Aihant Publication', in which last month all the important and examining current affairs of the national and international level (all the current affairs which have direct linkage with banking and economy) have been given. This is useful for Competitive Examinations like IBPS, CWE, SBI, RRBs and RBI. You may download pdf from the link provided given below.